Contrary to worries pertaining to its future, social micro-blogging platform Twitter Inc (NYSE:TWTR) sent a ripple across Wall Street when it announced its future plans. One of the concerns pertained to its diminishing rate of growth and addressing this problem formed the crux of presentation report made by the company. It appeared to have convinced shareholders and analysts and silenced critics because subsequent to the announcement, the stock registered a jump of 7.1%. CNBC covered the same wherein CRT co-head, tech and media division, Neil Doshi and he listed out several points which he felt made Twitter Inc (NYSE:TWTR) an interesting prospect over the next few months. What he termed as exciting growth opportunities and innovation being applied at a steady pace are salient features which make up the company’s manifesto. He went on to say that there were a lot of things going for the company and one of them was its push towards rendering the website responsive. This in itself would add to the customer base which has been growing rather slowly off late. 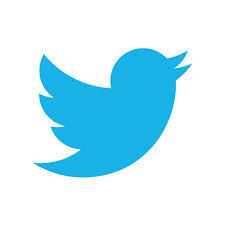 Some of the features that Twitter Inc (NYSE:TWTR) has in its arsenal are ‘Instant Timeline’ for first-time users and ‘Timeline Highlights’, a chronological list of tweets which the user may have missed out on. Add to that a landing page replete with sports events, series of independent apps and attempting to engage users who read tweets without signing up or logging into the website. Particularly attractive for new users is a glossary of Twitter jargon that can be perused so that nothing is missed out. Another reason for Twitter Inc (NYSE:TWTR) being in headlines recently was the verbal duel between two former presidents which occurred on this platform. Bill Clinton initiated the dialogue when he tweeted to George W Bush and the latter replied back with an equivalent verbal punch. Which Way Will Twitter Inc (TWTR)’s Fortunes Fly?